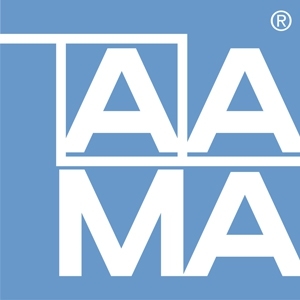 AAMA is your voice for support and action at all levels of the national regulatory process for the fenestration industry. Every year, we proactively and effectively influence codes, construction and specification issues related to windows, doors, skylights, curtain wall and storefronts. Proactive involvement in related building organizations, as well as national and state code and regulatory arenas, ensures that our members’ interests are represented, thus guiding manufacturers in distribution of high-quality products to the consumer. AAMA also specifically monitors key regulatory states in the Southeast and Western regions of the U.S. and even has separate branches of the association devoted to these regions. Many AAMA documents are referenced in national and state codes, and our staff and members work with building code and government agencies to ensure that these documents enable code officials to evaluate product performance quality on a level playing field. Alabama Building Commission - The Commission's primary function involves promulgating and enforcing the State Building Code through plan reviews, inspections and serving as the state's contract administrator for state-funded construction. Building Code Assistance Project (BCAP) - BCAP is dedicated to assisting states in the development and implementation of statewide building energy codes. California Building Standards Commission - Established in 1953 by the California Building Standards Law, the California Building Standards Commission (BSC) is an independent commission within the State and Consumer Services Agency. Florida Building Commission - Site provides access to public and secured electronic information associated with the Florida Building Code. Glazing Industry Code Committee (GICC) - GICC is a collaborative glass and glazing industry organization with a mission of promoting and protecting the use of glass and fenestration at the model building codes. International Code Council (ICC) - The International Code Council, a membership association dedicated to building safety and fire prevention, develops the codes used to construct residential and commercial buildings, including homes and schools. Most U.S. cities, counties and states that adopt codes choose the International Codes developed by the International Code Council. For a complete listing of state code links and current legislation effecting your business, visit the Members Only section of our website. You will need a valid username and password to access this portion of our site. Contact Customer Service if you don't know your login information. Alliance to Save Energy - The Alliance to Save Energy is a coalition of prominent business, government, environmental and consumer leaders who promote the efficient and clean use of energy worldwide to benefit consumers, the environment, economy and national security. International Energy Conservation Code (IECC) - The International Code Council (ICC) was established in 1994 as a nonprofit organization dedicated to developing a single set of comprehensive and coordinated national model construction codes. National Association of State Energy Officials (NASEO) - Issues of concern to NASEO include electric and gas utility, transportation, buildings, research, economic development, environmental, energy efficiency, renewable energy and other energy-related matters. Responsible Energy Codes Alliance (RECA) - The Responsible Energy Codes Alliance is a consortium of energy efficiency professionals, product and equipment manufacturers, and trade associations. RECA works to improve the energy efficiency of homes through greater use of energy efficient practices and building products.